'S e 14 an Dùbhlachd an 348mh latha dhen bhliadhna a rèir a' Mhìosachain Ghriogaraich (349mh ann am bliadhna-leum). Tha 17 làithean air fhàgail gus deireadh na bliadhna. 872 - Chaidh Pàpa Iain VIII a thaghadh mar phàpa. 1819 - Inbhe stàite do dh'Alabama. 1911 - Ràinig Roald Amundsen am Mùl Deas a' chiad turas a-riamh. 1787 - Joaquín Mosquera, ann am Popayán. Neach-poileataigs à Coloimbia. 1825 - Ezequiel Hurtado, ann an Silvia. Neach-poileataigs à Coloimbia. 1895 - Seòras VI, rìgh anns an Rìoghachd Aonaichte. 1938 - Leonardo Boff, ann an Concórdia (Santa Catarina). Sagart, feallsanaiche agus diadhair à Braisil. 1956 - Linda Fabiani, neach-poileataigs Albannach. 1542 - Rìgh Seumas V Alba (rugadh 1512). 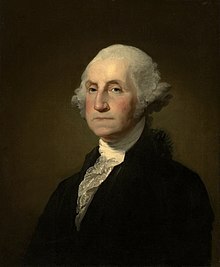 1799 - George Washington, ciad cheann-suidhe nan Stàitean Aonaichte. 1860 - George Hamilton-Gordon, Prìomh-mhinistear na Rìoghachd Aonaichte. 1947 - Stanley Baldwin, Prìomh-mhinistear Bhreatainn. 2013 - Peadar Ó Tuathail, ann an Lunnainn. Actair à Èirinn. Air a tharraing à "https://gd.wikipedia.org/w/index.php?title=14_an_Dùbhlachd&oldid=526277"
Chaidh an duilleag seo a dheasachadh 3 dhen Fhaoilleach 2017 aig 20:57 turas mu dheireadh.